Amuru Grade one magistrate Joseph Angole, has shocked Chief Justice Bart Katurebe and entire judiciary after penning a letter to the former justifying why they are corrupt. In his letter he state that lack of motivation and corruption in the judiciary is caused by low salary they earn. The hard hitting letter was posted on the Judicial Officer’s WhatsApp chat group of which the Chief Justice Bart Katureebe is a member. Angole told the CJ that small pay for the lower rank judicial official has left them with no option but solicit for bribes so as as to cope up with rising costs of living. “What I know for sure is that our situation is perilous and needs urgent attention,” Angole wrote adding that more silence about these issues is postponing the problem. “I gather that there are guidelines on what one can post on this forum. I only pray that this post falls within what is not construed as offensive to the elders herein," he stated in opening paragraph. "My Lord, in the Judiciary, you are our father. I am merely writing to you as a son who has been asked by my siblings to seek your audience and indulgence. I am doing this with no iota of bad faith but for the greater good of this family called Judiciary. I may not be using the best approach but as I said earlier, pardon me. My Lord the Hon. 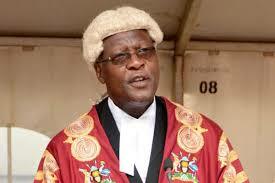 the Chief Justice of the Republic of Uganda, my name is Angole Joseph. I am a Magistrate Grade One currently deployed in Amuru district. My Lord, I thought I should use this public holiday to have a conversation with you. 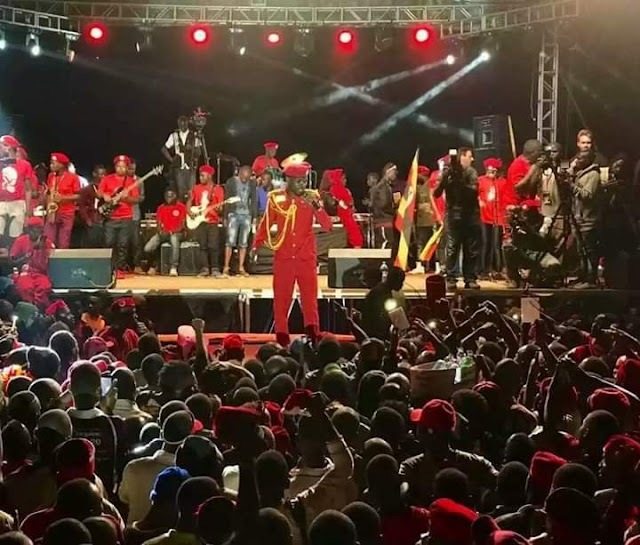 Forgive me for picking on this platform for you will realize from my introduction above that am several miles off Kampala. Besides, my deployment is such that have gotten too assimilated into village setting that every time I come to the city, I get intimidated to meet you in those nice sparkling settings. You could easily call me a village magistrate. I gather that there are guidelines on what one can post on this forum. I only pray that this post falls within what is not construed as offensive to the elders herein. But should the same fall short and if I may borrow the luxurious words of Her Lordship Justice Catherine Bamugemereire be considered vexatiously pestiferous to the quietude of the elders I do hereby seek your prerogative of mercy in earnest. Being the kind man I know you are, am verily sure you will forgive me. My Lord, in the Judiciary, you are our father. I am merely writing to you as a son who has been asked by my siblings to seek your audience and indulgence. I am doing this with no iota of bad faith but for the greater good of this family called Judiciary. I may not be using the best approach but as I said earlier, pardon me. My Lord the CJ ever since the new salary structures were released, we have been in mourning. We have been mourning in speeches, actions and in silence. We mourn that once again our lamentations for improved welfare has received a wide berth and cast asunder. We in the lower bench are hurting and cursing in silence and this is not good for the institution which you head My Lord. The moral is too low to go to work. As I confer with you now My Lord, many of us are sick because of writing and sitting for too long. Yet there’s not much to show for it. We have a colleague in the name of Amon Mugezi whose medical need is monumental. We on the lower bench have tried our best to assist him to no avail. This should not be happening. Because of the nature of the deployment, many of us run two rented homes. We are always on the road; from the family to workplaces and vice versa. This happens year in year out. Many families have painfully broken down in the process. Yet work should ordinarily help us build and foster strong families. My Lord, like others, we also have family responsibilities, fees etc. When we go shopping, we shop together with the well paid. Put in simple terms, the life of your ordinary Magistrates and Registrars is so hard and pauperism. This is true. My Lord, you must have come across some of your foot soldiers who put on one unwashed suit for a whole month. Some drink and come to work drunk. Others hear cases and neglect to write the judgment. These are but a few symptoms of disgruntlement. There is no motivation to work. As I write to you this letter My Lord, I am in great fear for I don’t know what will become of me tomorrow but what I know for sure is that our situation is perilous and needs urgent attention. My Lord, the salary is a mockery and if any of your lower carders tells you that he/she is living off the current salary, that officer is lying and the truth is not in him/her. Judicial Officers are living off litigants. In such a situation we can’t pretend that there is Justice and fairness. Others are into private businesses with little or no time for judicial work hence backlog. If we continue saying that we shall fight corruption, reduce case backlog and improve the image of the Judiciary without addressing the welfare issue of the lower Judicial Officers we will once again be lying to ourselves and the truth will not be in us. My Lord, more silence about these issues is postponing the problem. Our hearts are soaked in debts not because we live beyond our means. As a matter of fact have not heard of an ordinary Registrar of Magistrate going for holidays in Miami or Paris. We contract these debts because our income cannot meet our basic human and family needs. As I write this, am sure there are some colleagues, reading this letter who can’t be at their work stations for fear of money lenders. It is demeaning. My Lord, I shudder to believe that a needy Judicial Officer can arbitrate independently. May be there are some. This explains the sarcasm with which the public most times greet outcomes of judicial processes. There is a general public feeling that Judicial Officers are so needy and can’t resist monetary favors. The salary paid to Judicial Officers is too measly to cushion us from the current cruel hands of inflation and lifestyle. My Lord the CJ, as a father I petition you to be there for us. Lift up our spirit which is so low and sapping by the day. Make us believe that we belong to this institution. In the interim, I propose you consider reducing on the disbursements to High Court for Criminal Sessions and give this as consolidated allowance to lower Judicial Officers; 3,000,000 a month would be a good start. Let’s share what’s in your basket as of now equitably as we wait for a miracle from government. I thank you for reading this letter. I hope I have not offended you. If I have, forgive me.